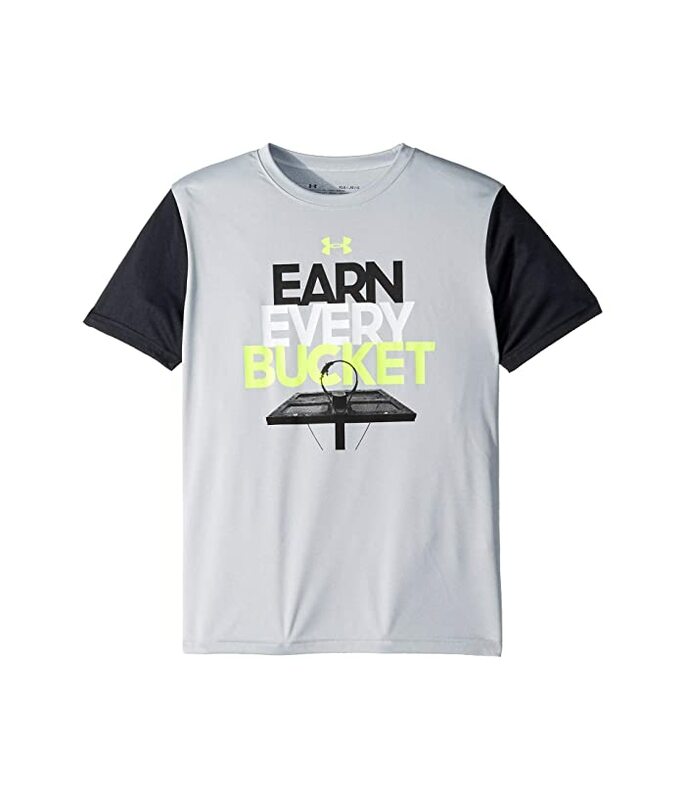 Always aim higher than your expectations and keep your cool in the high-energy Under Armour® Kids Earn Every Bucket Short Sleeve Tee. Regular fit top skims the body with a slightly, easy shape. Smooth, anti-pill fabrication constructed with colorblocked sleeves. Basketball hoop screened across front with "earn every bucket" text.